Sandy Bay Machine, Inc., located in Rockport, Mass., specializes in all elements of metal working, with an emphasis on machining radio frequency, microwave and millimeter wave, fiber optic components and high-output production. Because of the high-tech nature of the military and commercial components being produced, the company strives to stay ahead of the competition with technically advanced machinery and skilled machinists. 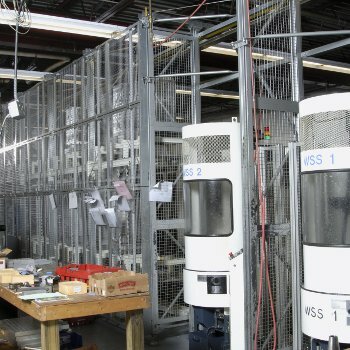 Accuracy is imperative in the manufacture of its products, as is the ability to achieve short runs or small lot sizes. Sandy Bay needed machinery that would provide a better finish and faster cycle times than its current equipment. It also wanted to run unattended machining to help it cope with the shortage of skilled labor. Sandy Bay first purchased a Makino a51 stand-alone machine. It provided not only better cycle times but also precise surface finish. For example, in 40 minutes the company was able to finish a part that used to take 2.5 hours. The a51 was also able to meet 0.0002-inch tolerances that the other machines on its floor could not achieve. The flexible manufacturing system has given Sandy Bay the ability to run several jobs at the same time, without operator intervention. The company fixtures many parts per face on each tombstone to help reduce pallet changes and out-of-cut time. In fact, setup time has been cut in half, and the machines are running 94 percent of the time, a big improvement over its stand-alone machines. Despite the fact that skilled workers are hard to find, Sandy Bay is able to attract and retain quality employees who want to work on this high-tech equipment. Previously, employees wanted to avoid working the third shift; now the efficient flexible manufacturing system has enabled the company to go from three shifts to two. In addition, the cell can be accessed remotely to check on work in progress. This new technology enables Sandy Bay to deliver on the jobs it accepts, no matter how complex the specifications.